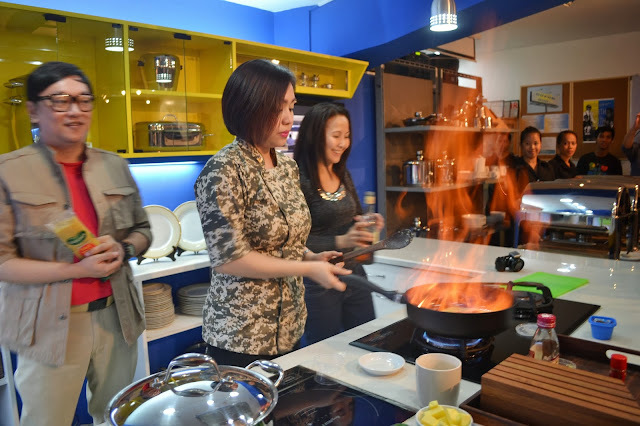 It was a night of fun and food as Philip, The Lifestyle Guy and Chef Michelle Adrillana treated Lifestyle and Food Bloggers for dinner last December 13,2013 at Berghoff Kitchen. BergHOFF was founded by the Vanthoor Family and established in Belgium in 1964. 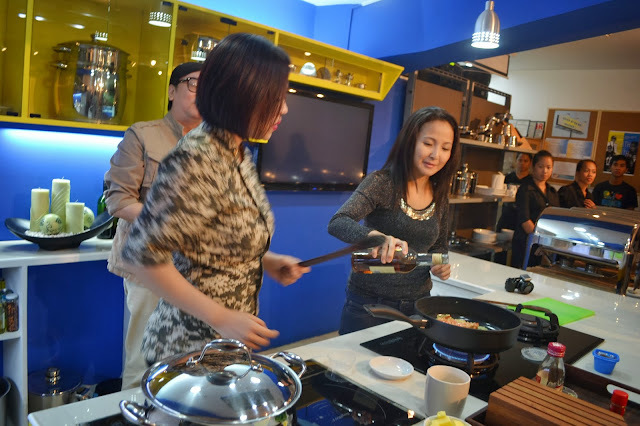 It became the first factory-direct cookware company in the world, manufacturing high-quality products and selling them directly from the company's own stores, along with manufacturing cookware for other companies as well. They operate worldwide in 70 countries and have headquarters in Belgium and in the United States. BergHOFF Inc. Philippines began in 2009, and has continued to grow since then. BergHOFF received different awards and accolades, The International Red Dot Design Award, Henry Van de Velde Awards, Chicago Athenaeum's Good Design Award, Design Award of the Federal Republic of Germany, Tree Canada's Eterne Award to name a few. Vice President & Country Manager, Nathaniel Sagun, gave a brief information of the BergHOFF products. BergHOFF and the The fundamental Kitchen's cookware lines are specifically designed for use on induction cooking systems. As a result, it is highly resistant to warping and it remains flat before during and after cooking. BergHOFF/TFK cooking are future-proof and compatible with many cooking systems, both conventional and innovative from the standard gas stove, induction stoves, halogen, up to vitro ceramic stoves. We've designed these products to last, and that's why they come with lifetime warranty. BergHOFF does everything in-house-research,design, manufacturing and marketing, all the way up until cookware gets into the hands of our customers. They also make use of patented technologies ensuring that no other cookware in the world can do what our cookware can do. Other cookware can certainly be induction-ready but BergHOFF's cookware are different in that we specifically designed them to be used with induction cooking systems (along with other, more conventional cooking methods of course). You can visit their showroom the Frabella Building on Rada Street, in Legaspi Village, Makati City. Interested folks get in touch directly with their official showrooms in their respective country of residence. Otherwise, they cannot guarantee quality, warranty coverage and most importantly proper service to our customers. To know more about BergHOFF, check the website below.